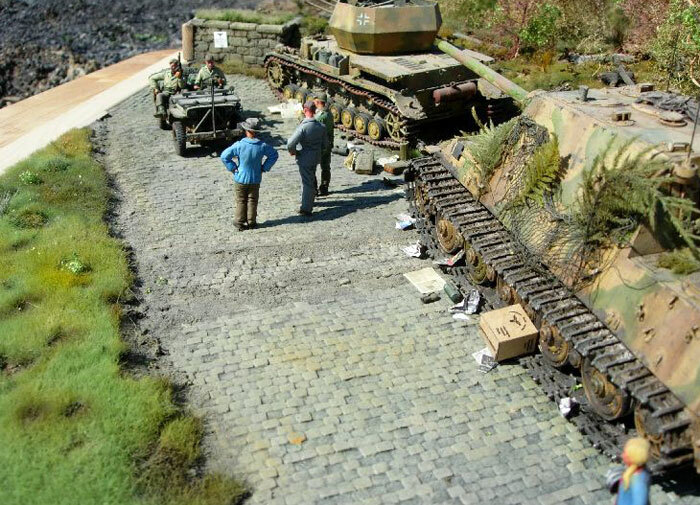 Here is my 1/35 scale diorama depicting the capitulation of the town Letmathe near the Ruhrkessel area. 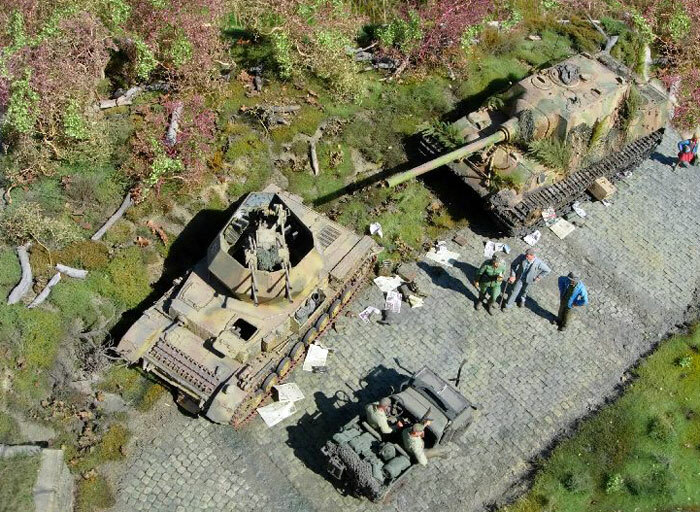 The Kapitulation was on 9 April 1945.The German tanks are from the Schwere Jagdtiger Abteilung 512. .The Willy`s Jepp is from the 99th U.S.Infantry Division. 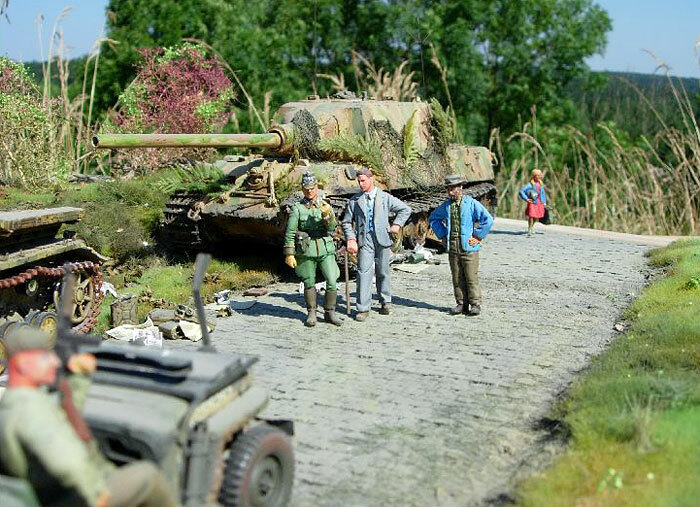 I have included the Town Major, the Town Policeman and a Farmer.in the diorama. In the background, the farmer`s doughter has found a German cap and a rucksack. 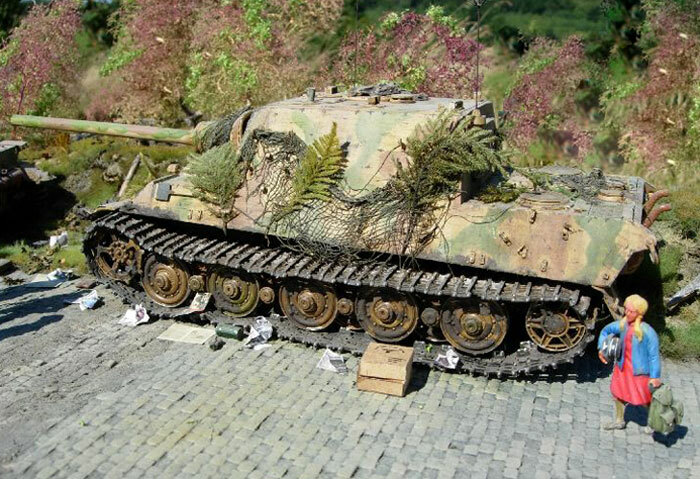 The Jagdtiger is a Dragon model with Eduard photoetched parts. The gun is from Jordi Rubio and the tracks from Friulmodelisimo. 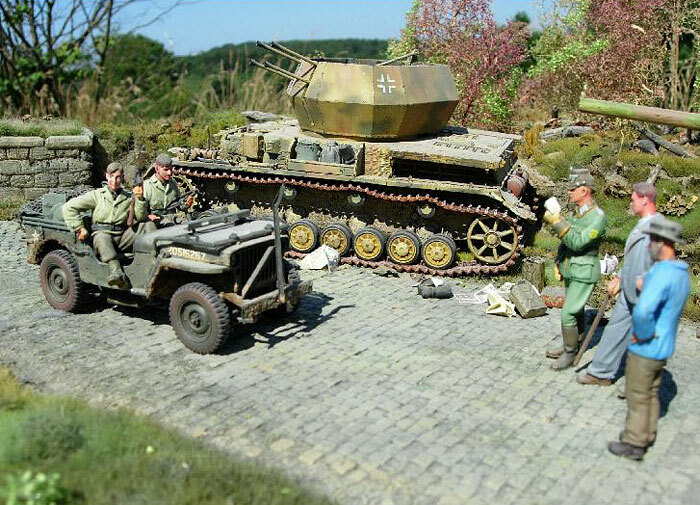 The Flak Panzer is from Tamiya, built with Eduard PE Parts. The guns are from ELEFANT and the tracks are from Friulmodelisimo. The Jeep is from Tamiya and built with Verlinden Parts. The figures come from Warriors and Verlinden (Jeep Crew). The Town Major and the Jeep Crew have heads from a Warrior head set. The figures were painted in Acrylics. The highlights and shadows were made with oil paint. 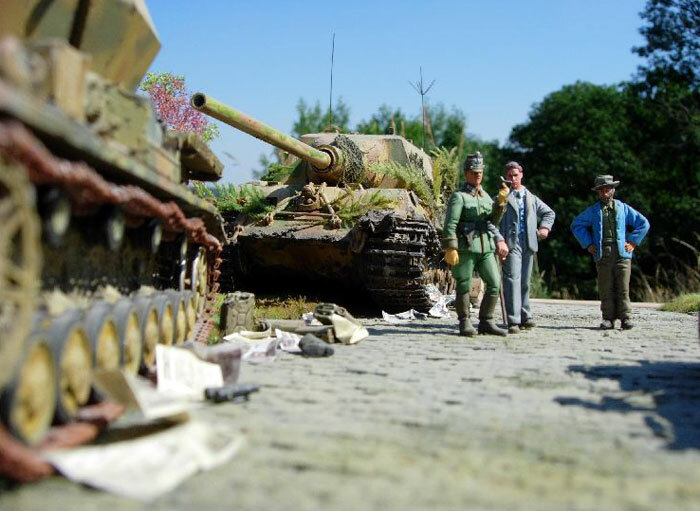 This diorama is dedictated to all the fighting men from the Schwere Jagdtiger Abteilung II./512 and the 99th U.S.Infantry Division.